Students involved in Greek organizations hoisted up the amount of money raised through KDM. 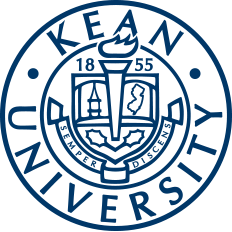 Kean Dance Marathon (KDM) was held on Friday, April 20, 2018, from 12 noon until 12 midnight in Downs Hall. KDM is a culmination of a year-long fundraising effort for the Children's Specialized Hospital in Mountainside, NJ. The first ever KDM took place in 2014, and it has since then become a pinnacle of this school’s philanthropic efforts. 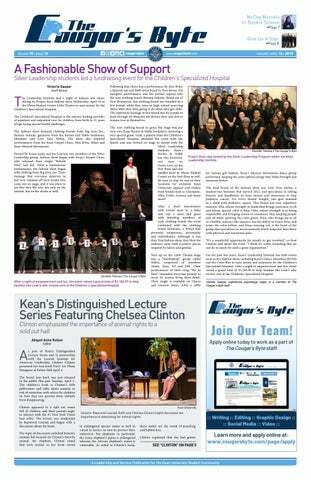 Alex Louis, the assistant director for Greek affairs, was a key figure in making this Kean tradition a reality. Last year’s KDM raised $53,875, out of over $177,000 that KDM has raised in total for the Children’s Specialized Hospital since its creation.While the final total won’t be announced until the very end of KDM, the Greek Senate is aiming to uphold last year’s standards and raise at least $50,000. Preliminary events such as Meet the Greeks and the KDM Winter Wonderland Gala have allowed the Greek Senate to raise money in advance of the actual marathon. Even more funds are expected to be generated with the upcoming FTKolor Run, a 5K color run taking place April 7. For those looking to participate, tickets cost $20 for students and $30 for faculty and alumni. They can be purchased by visiting its website. This year’s KDM theme is centered on superheroes. In accordance with that theme, those attending the marathon will be able to compete in a superhero costume contest. Among other activities and elements, students can also expect to experience a playlist curated by KDM veteran DJ Nix, a Zumba class and for the first time ever at KDM, Greek Sing. “Greek Sing is a part of Greek Olympics where the organizations perform a skit, sing a song or dance. We have 10 organizations that are going to be doing that at KDM this year,” Louis said. Many student groups and clubs, especially the Greek organizations, take part in the KDM effort by registering teams and organizing ways throughout the year to bring in more money for the event. Those still looking to get involved in fundraising for the event can either register a team or donate by visiting the official KDM site. To learn more about the Greek Senate and its programming, please visit the group’s page on Cougar Link. Additionally, students can also seek out more information by calling or emailing the Center for Leadership and Service at (908) 737-5170 and cls@kean.edu, respectively.